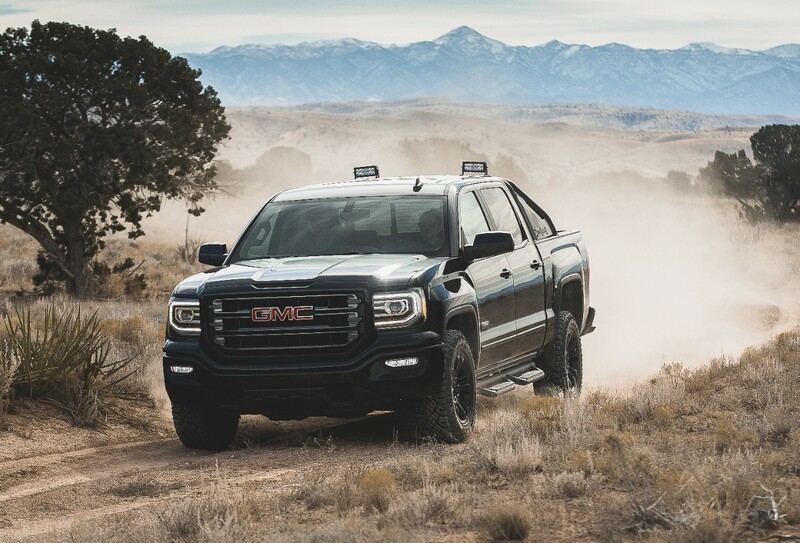 A special edition of GMC’s full-size Sierra pickup truck has the look and off-road capabilities some enthusiasts will want. GMC Sierra All Terrain X. Consumer love for pickup trucks and SUVs is at an all-time high. To that end, GMC is taking advantage of our seemingly insatiable desire for all things high profile vehicle, by responding with a special edition of the Sierra’s All Terrain model, a package known officially as the GMC All Terrain X. The special edition model offers exclusive content, including enhancements to the pickup’s off-road capability. The All Terrain X features an assertive countenance dressed in a monochromatic demeanor. GMC Sierra sales rose by a robust 17 percent in 2015 with overall truck deliveries up by 23 percent. GM’s truck brand outpaced Chevrolet, Buick, and Cadillac for 2015 as its overall US sales rose by 11.3 percent. By far, GMC’s best seller is its full-size Sierra, accounting for 224,139 of the brand’s total 558,697 sales last year. That number was twice the sales of its second best selling model, the compact Terrain SUV. Sales of the GMC Sierra All Terrain X will begin this spring. The price will be announced closer to its release date.